Elizabeth Orr has always known how she wants to use her skills as a lawyer. 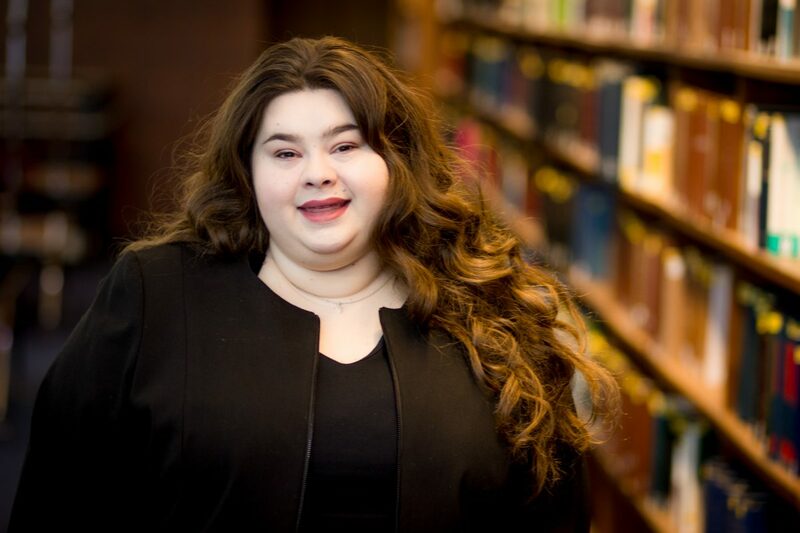 In this profile, she shares the opportunities at Chicago-Kent that have given her the perspective she needs to find the best area of law for her. She also shares the opportunities she’s had as a leader in our student organizations to invest in other students. I always knew that I wanted to be a lawyer because lawyers protect people. To be able to right a wrong for someone is life-changing. I hope that one day (soon) I will be worthy of that power. The community at Chicago-Kent make it so special and different than the other law schools I visited. For me, Chicago-Kent is a collaborative and friendly atmosphere where students build skills along with relationships. The Domestic Violence Practicum with Professors Johnson and Baker had a big impact on me. It showed me how vulnerable litigants are in domestic relations proceedings and the impact a good attorney can make in someone’s life. Are you focusing your studies on a particular area of law or pursuing a certificate? I’m focusing my studies in the area of Family Law. Along with that, I’m pursuing the Public Interest Law Certificate. The certificate program addresses several facets of public interest work and has provided great perspective for me. What programs or opportunities have surprised you at Chicago-Kent? I was surprised by the scale of the legal externship program. Professor Gross has so many opportunities for students to work in the court system and receive credit for their experience. What made you want to get involved in these roles? Law school is a difficult process, and being involved in activities helped me to find more enjoyment over the course of my law school career. I especially love working with the Kent Justice Foundation because we raise money so that Chicago-Kent students may work in public interest positions without suffering financial hardship. I hope to show appreciation to the school and everyone else that has helped me. I hope that I have helped some other students in turn. Literally, everyone guesses that I craft and bake! I am a crafter, baker, reader, and mom to two dogs. What neighborhood do you live in? What do you like about it? I live in the Loop—in the heart of the city. I love that there is always something to do or see if I have free time. I love going to a neighborhood and sampling a few restaurants. Chicago is a great place to eat.